I left Michigan early in the morning around 12z to make the quick trek out to Iowa. This was the first time I’d been looking to chase since Pilger and I was eager to get back on the saddle. 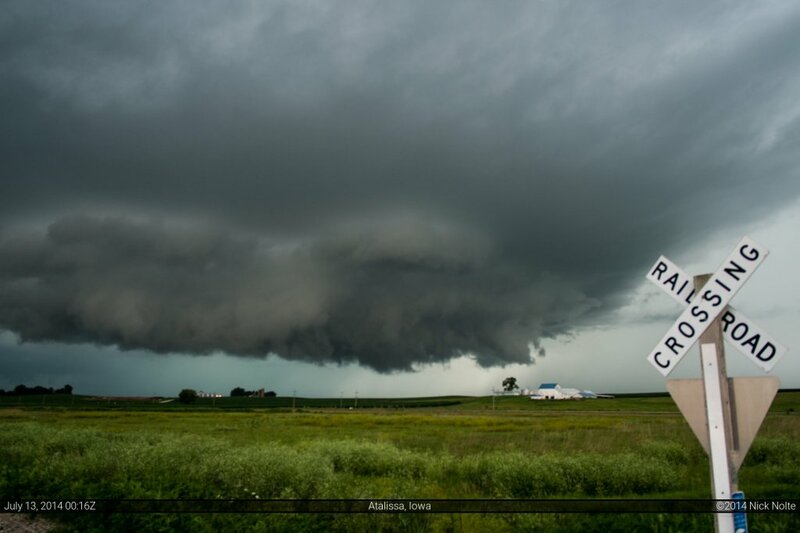 I rolled into Davenport shortly after 19z and reevaluated the situation. 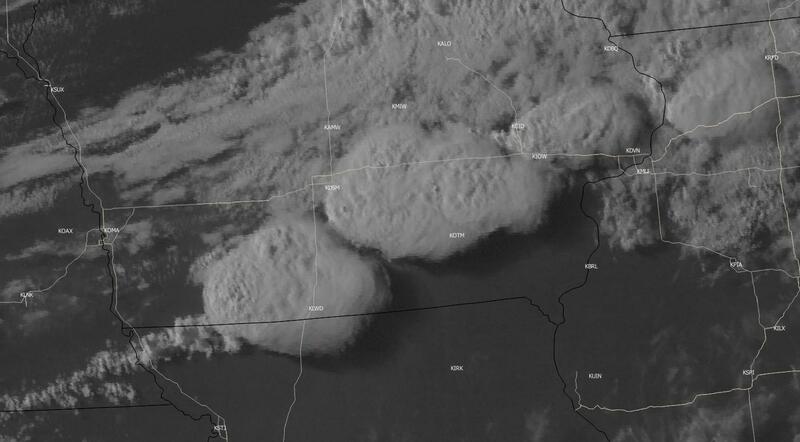 A cumulus field was developing below the higher clouds from Omaha to Cedar Rapids. 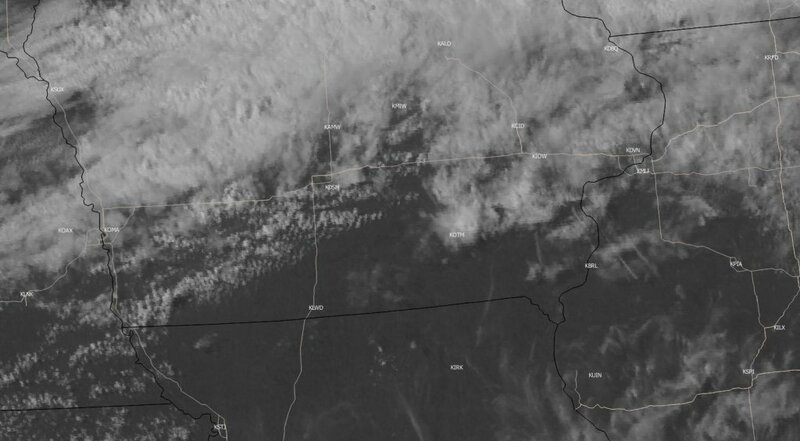 I got back on I-80 to head west while the cumulus field continued to improve west and south of Des Moines. 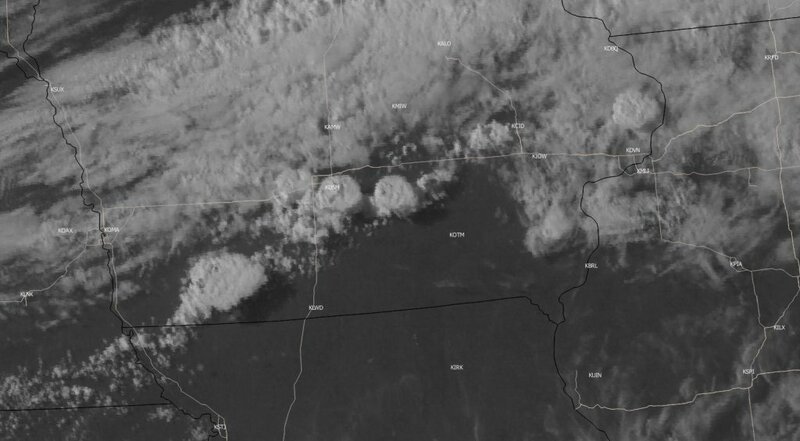 Storms began to pop north of I-80, but they looked pretty anemic. Nothing else was happening so I headed towards Marengo to get a visual on the storms and they were nothing to write home about. I meandered about with little cells that popped for a little bit, but eventually headed back to Williamsburg at 22z and that’s when the show got started. Finally, the real storms exploded along the boundary and three or four healthy cells blew up on the east of Des Moines. Now I had something to go after. 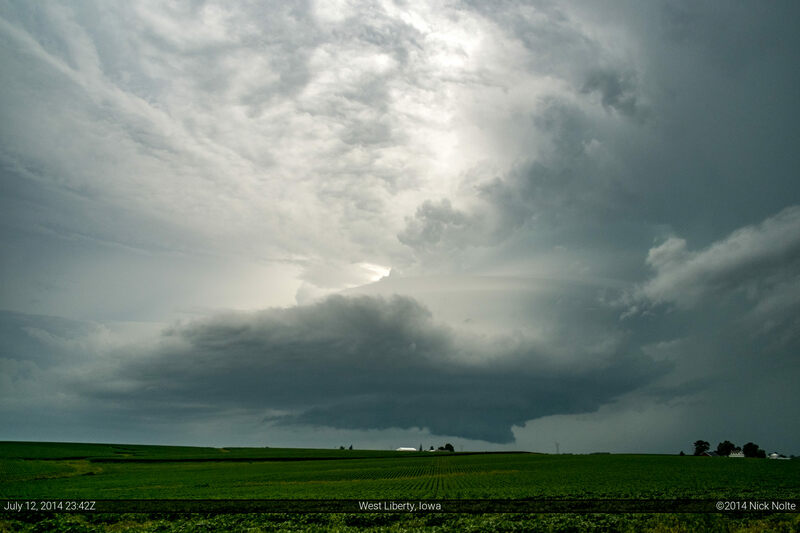 I decided to intercept the eastern storm and eventually was able to stop and observe the storm west of West Liberty. After watching for a bit Brad Goddard pulled up noting he could see the orange car from a mile down the road. 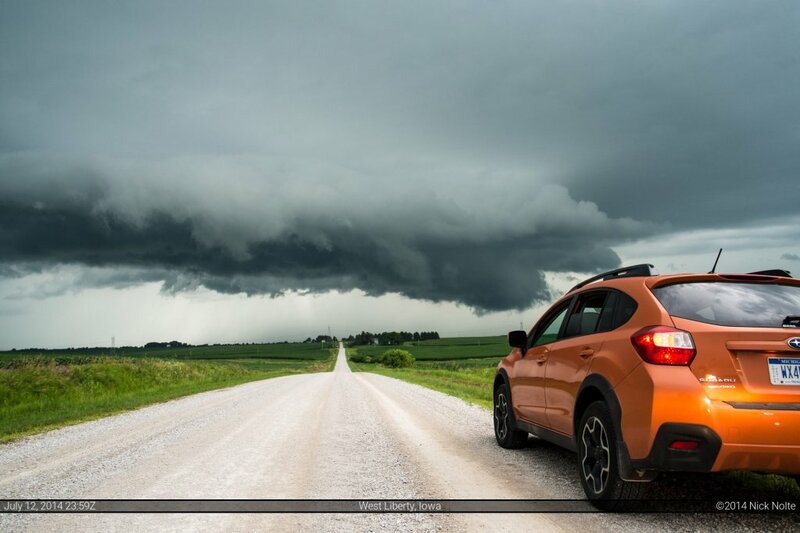 We tracked the storm from West Liberty to Atalissa and east hoping for some late evening magic when a funnel cloud emerged briefly from the storm. We continued to follow it, but eventually called the chase as darkness fell. 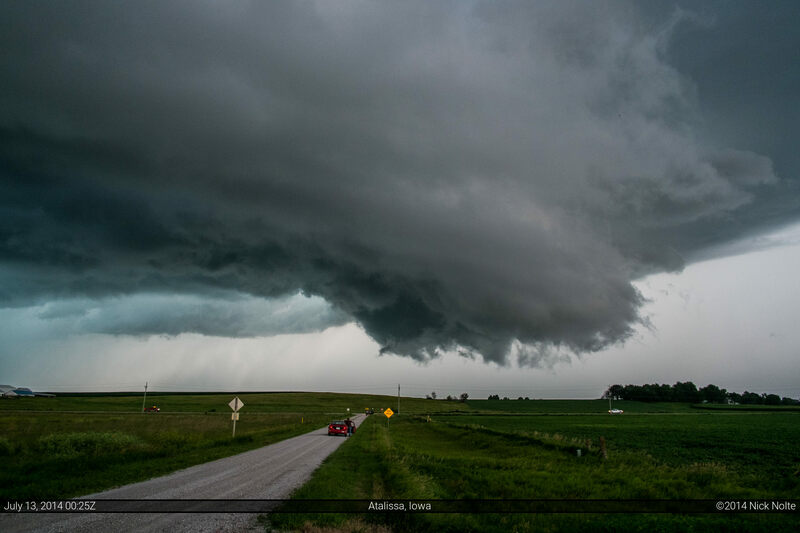 All in all, it was nice to get back out there to chase again and we got a beautiful storm over eastern Iowa. It teased us with a funnel cloud, but that was all it was willing to give out.